The Big Idea: When kids can write about and draw their feelings, starting conversations may get a little easier. 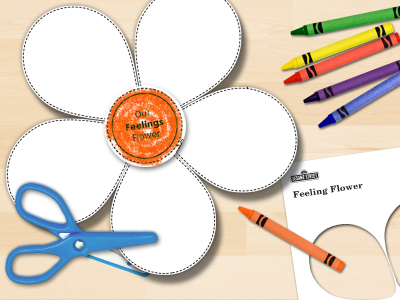 Talk about the emotions children are feeling and use glue to make a flower. Remind kids that feelings of sadness—and lots of other feelings—can come and go.